Attempts to understand the origins of humanity have raised fundamental questions about the complex relationship between cognition and culture. Central to the debates on origins is the role of religion, religious ritual and religious experience. What came first: individual religious (ecstatic) experiences, collective observances of transition situations, fear of death, ritual competence, magical coercion; mirror neurons or temporal lobe religiosity? Cognitive scientists are now providing us with important insights on phylogenetic and ontogenetic processes. Together with insights from the humanities and social sciences on the origins, development and maintenance of complex semiotic, social and cultural systems, a general picture of what is particularly human about humans could emerge. Reflections on the preconditions for symbolic and linguistic competence and practice are now within our grasp. 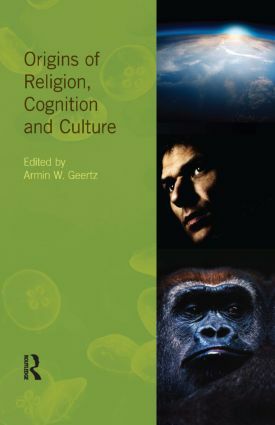 Origins of Religion, Cognition and Culture puts culture centre stage in the cognitive science of religion. Armin W. Geertz is Professor in the History of Religions, Director of the Religion, Cognition and Culture Research Unit and MINDLab Coordinator of the Cognition and Culture Project at Aarhus University, Denmark. He is co-editor of Religious Narrative, Cognition and Culture (Acumen, 2011).